The New Homes Bonus scheme provides cash bonuses for communities gowing for growth. 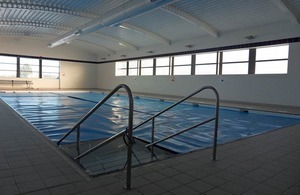 Funding can be spent on local facilities like swimming pools and leisure centres. Housing Minister Grant Shapps has announced almost £200 million in the first wave of cash bonuses for communities that have decided to go for growth and build new homes through the New Homes Bonus scheme. Explaining how the scheme will work Mr Shapps said the government will match the Council Tax raised from new homes for the first 6 years, which for an affordable home will mean an extra £350 per house each year. Grant Shapps confirmed that the bonus will also apply to any empty properties brought back into use. The amount of extra cash an area will receive can be easily seen using the New Homes Bonus Calculator, available on the New Homes Bonus page. Selecting the ‘Provisional allocations’ option will lead to a page where each council can be selected from a drop down list. People can now start talking to their council about how they would like to spend the money - whether Council Tax discounts for local residents, boosting frontline services like rubbish collection or providing local facilities like swimming pools and leisure centres. The minister also said it will be up to the local communities and not Whitehall to decide how the building bonus is spent. We need to get the country building again - but not through a Whitehall knows best arrogance. To kick start a housebuilding revolution development needs to be backed by local communities rather than opposed by them. That’s why we are introducing powerful new incentives giving communities a reason to say yes to new homes. Rather than feeling the strain of new homes through extra pressure on local services local residents will feel the direct benefit as they get to choose how the money is spent.